When you want performance, lightweight and excellent durability, this is the wheel for you. You want to get into racing, but you don’t want to break the bank, so we designed a disc wheelset that’s race ready but is within your budget. We take a set of Velocity Major Tom tubular or Velocity A23 tubular rims, lace them to a pair of Shimano XT disc hubs with DT Champion spokes and turn out a wheel that’s lightweight, but can take a licking. Compatible with centerlock disc rotors only. 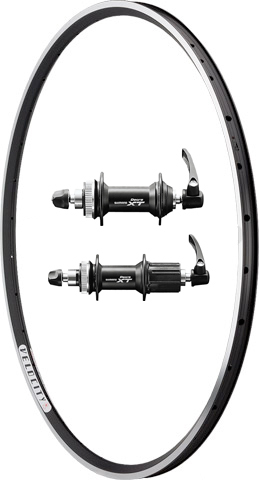 Compatible with Shimano and SRAM 9 and 10 speed cassettes.